If you're following along with our syllabus, you'll notice we're running a bit behind. We have had such a fun and busy summer. The kiddos have still been learning a ton, but we've spent a lot of our days learning outside of the classroom. I'm sure we'll catch up eventually. For now we're just enjoying the ride. Sunshine has been so anxious to start her new moon activities. This unit will be a lot different for her than units past, in regards to themes. I asked her today what she knew about the moon. She told me that it's in the sky and that it looks at her. Lol. We're keeping things very basic this week. Still, we'll be having loads of fun. I've been trying to think of new ways to learn about letters lately. Sunshine loves to sort things, so I thought I'd see how well she does sorting letters. 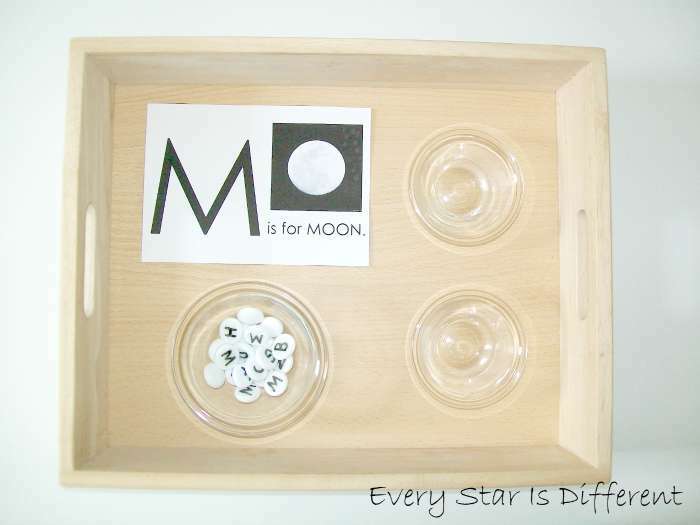 In the bowl there are several "moons" with a capital letter "M" on them. Other "moons" have different letters on them. She will place moons with the letter M in the glass bowl next to the control card. 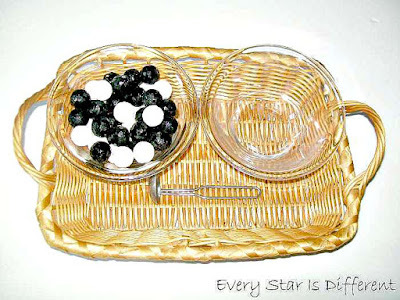 Other letters she will place in the bowl below. I"m hoping she enjoys this activity. 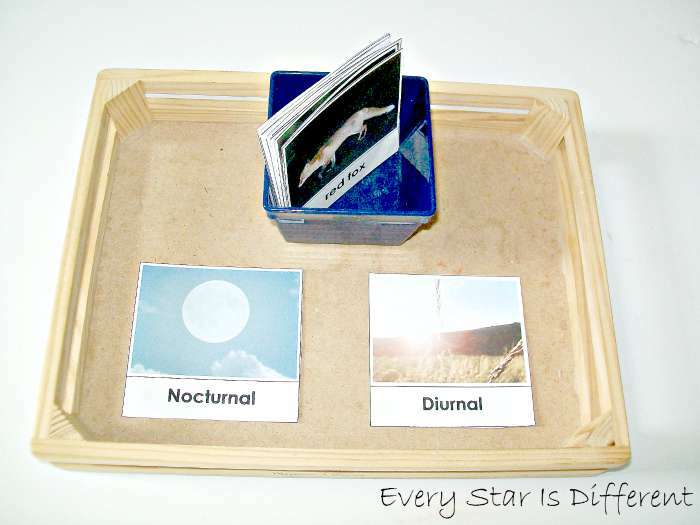 Source: I created the printable for this activity as part of my Moon Activities for Tots & Preschoolers Printable Pack 1. For your free copy, click on the link at the bottom of this post. Sunshine is coming along with her numbers. I thought it would be fun to find out how well she does counting dots and then marbles acting as craters. She'll roll the dice and then hit the surface of the moon with the correct number of craters. 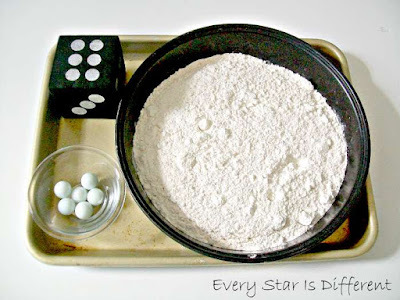 The pan is filled with flour. I'm hoping she enjoys the sensory experience of the activity. A unit study for Sunshine wouldn't be the same without an animal activity. I'm not sure why the moon card looks a little discolored in this photo, but I promise it looks better in person. Sunshine will sort the animal cards, deciding if the animals shown are nocturnal or diurnal. All animals that are nocturnal are shown awake in the dark. All animals that are diurnal are shown awake during the day. 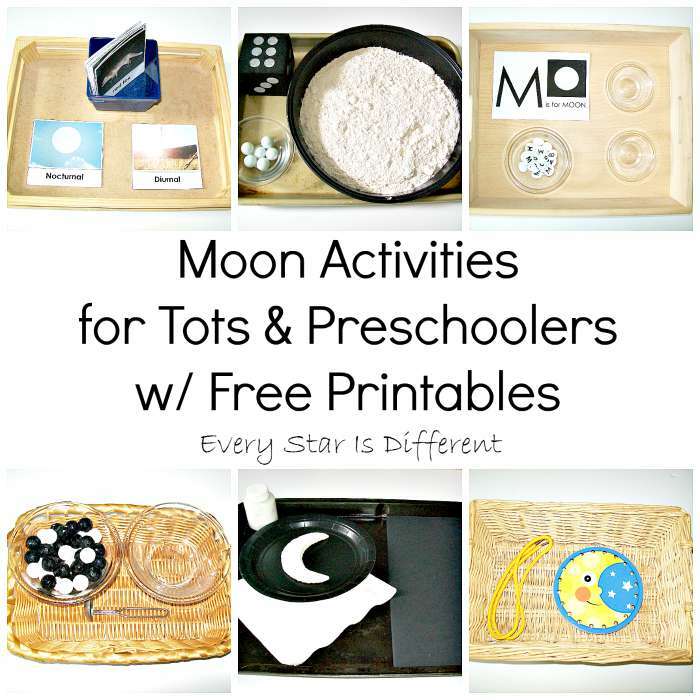 Source: I created the printable for this activity as part of my Moon Activities for Tots & Preschoolers Printable Pack 1. For your free copy, click on the link at the bottom of the post. Sunshine does quite well with her basic shapes, so I thought it'd be fun to introduce a new shape to her, especially as it pertains to the moon. 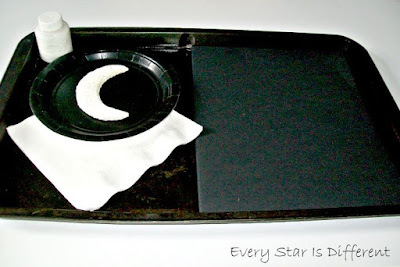 She will pour the white paint onto the plate and then place the sponge into the paint. Sunshine will transfer the sponge to the black paper provided to stamp crescent shaped moons of her own. Towels are provided in case she gets her hands messy with paint. Sunshine will transfer the white moons to the other bowl using the ladle provided. I'm excited to see if she sticks with only transferring white moons. Sunshine received the Melissa & Doug Alphabet Lacing Cards for her birthday. I'm not sure who's more excited, her or me. Lol. Every day she's asked to use them. 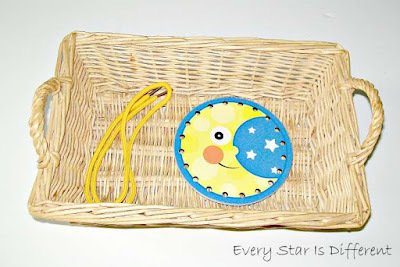 This week I thought it would be perfect to include the moon lacing card as one of our activities. 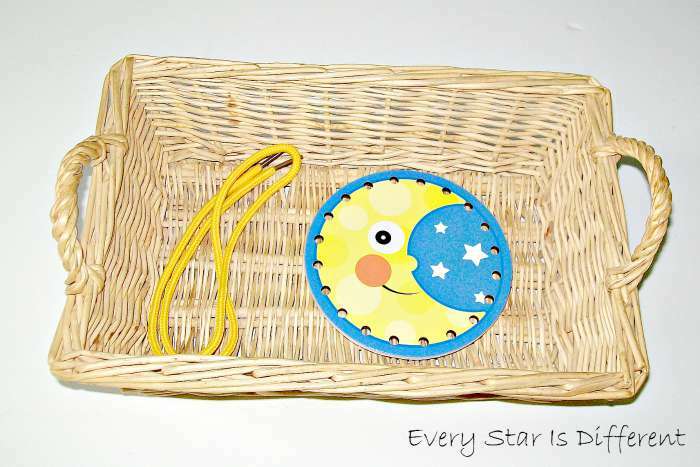 Next week Sunshine will be learning all about stars. 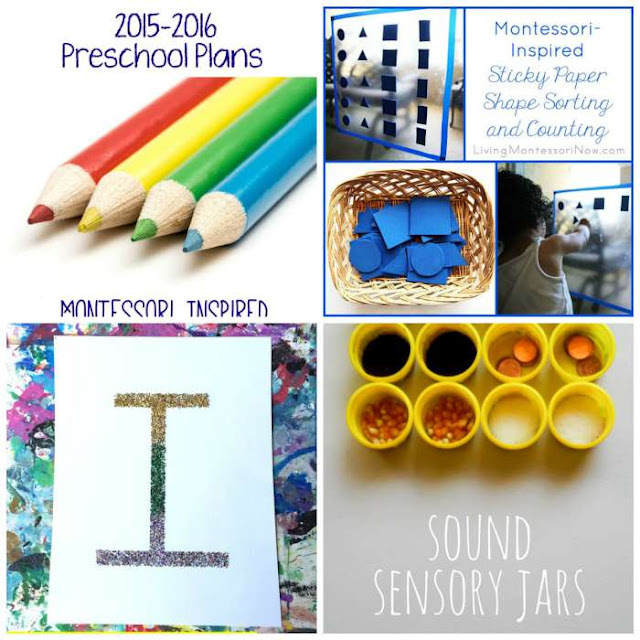 Be sure to stop back and visit to see my latest activities and printables! 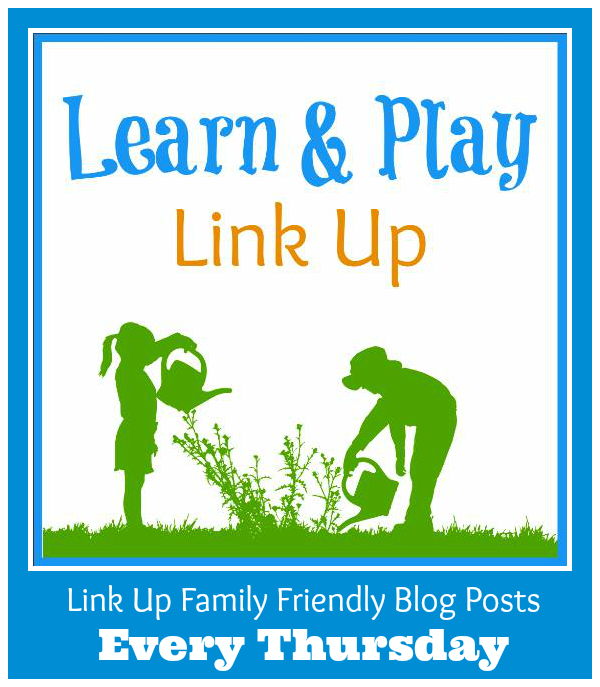 Welcome to the Learn & Play Link Up! 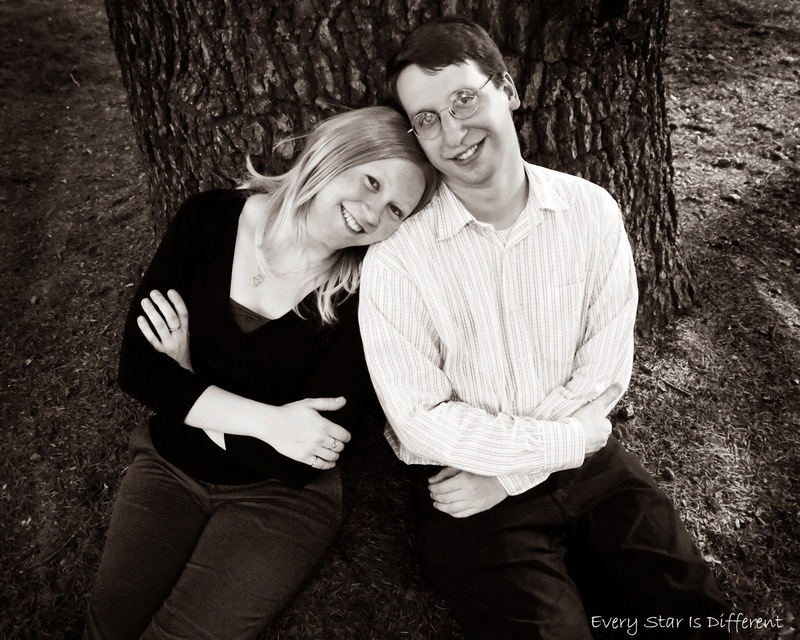 Be sure to check out our wonderful features. There are so many great ideas when it comes to doing tot school and preschool with your kiddos. 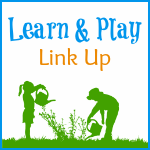 Unfortunately, the printables link takes one to the easy sound sensory jars. 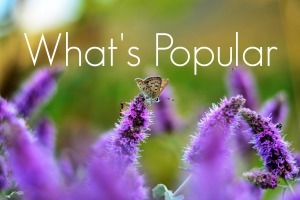 Thanks for all of the practical, fun, and educational posts you have shared. I love your moon themed activities!!! 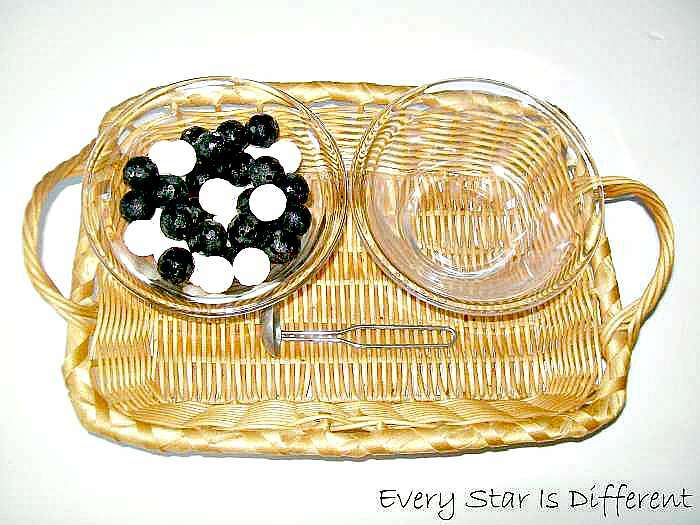 We'll be covering some sort of space theme during the year and I can't wait to try some of those out with my kiddo!